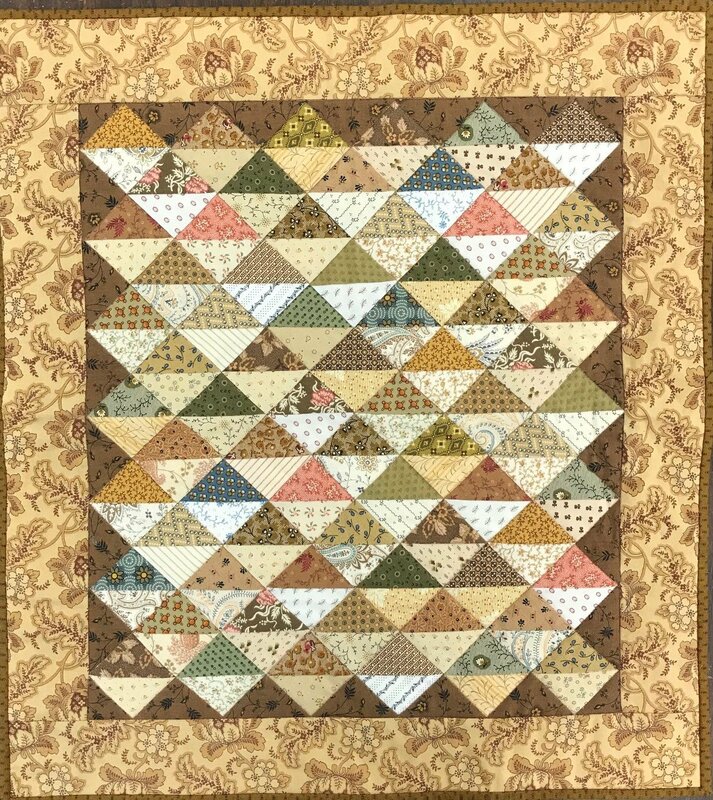 Here is a sweet little quilt from the new "Jo's Little Favorites III" book. It uses only medium and light fabrics and you can use your Bloc Loc ruler to make it even easier! Go through your scraps and use some treasures pieces. This quilt finishes at approx 19 1/2" x 22" so a perfect display size. Book purchase required.